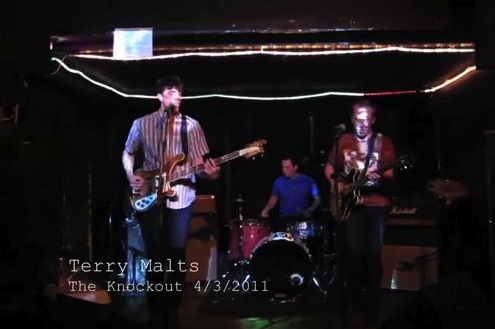 Woke up this morning and we thought, “Man, we could totally go for something that has some underlying bubblegum-pop tones but maybe cover it in some fuzzy riffs with a SoCal vibe to it.” The babes over at Slumberland must’ve been tuned in because they hit us with this number from Terry Malts that more than satisfied our pining. The guys hail from the bay area in California and just put out a brand new single with Slumberland that features 3 tracks that were previously only available on cassette [which has since sold out from Log Lady] Go ahead and scoop this one up as we think you’ll jam it all Summer. We put up the track “Distracted” for your ears down there so you can get a little taste. We think our favorite Malts number might be “In the Waiting Room” though. You can check that one out on their myspace.